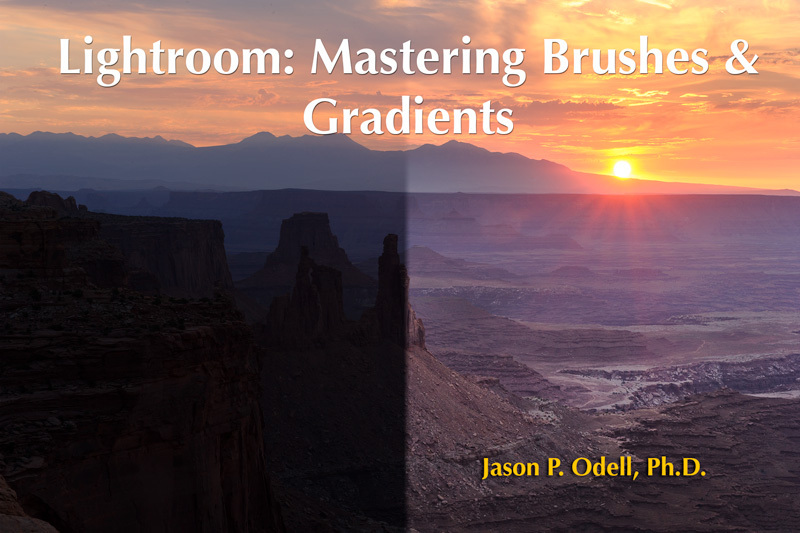 I’m pleased to announce the release of my newest Lightroom tutorial video, Lightroom: Mastering Brushes & Gradients, is now available for download at Luminescence of Nature Press. This 99 minute HD video includes a 54-page printable PDF companion and will teach you how to retouch images in Lightroom using local adjustment tools. From simple fill lighting effects to complex exposure corrections, you will learn which tools to use and how to use them for maximum impact. Photo Mechanic & Lightroom Workflow Guide: video workshop with printable PDF companion for streamlining front-end workflow in high-volume shooting situations. Digital Infrared Processing with Lightroom & Photoshop: Video workshop and PDF companion for using digital infrared cameras with Lightroom.